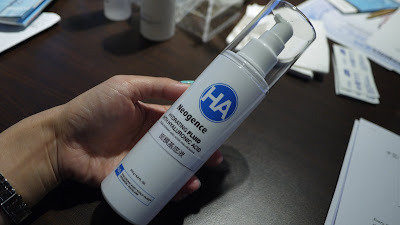 If you have traveled to Taiwan before, you should have seen or tried Neogence (霓净思) skincare brand there. Originated from Taiwan, NEOGENCE products are selling like hot cakes as it is committed to “beauty” for over 13 years now. NEOGENCE made their products in their own lab that is ISO9001- and ISO22716 certified, hence we can be ensure with the top notch quality. 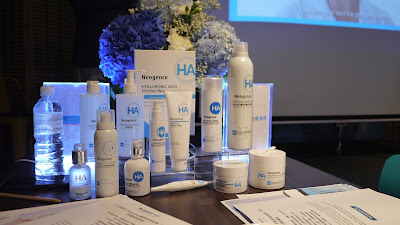 I am honoured to have the chance to discover more about NEOGENCE with the founder, Dr. Hsieh himself at a workshop recently. 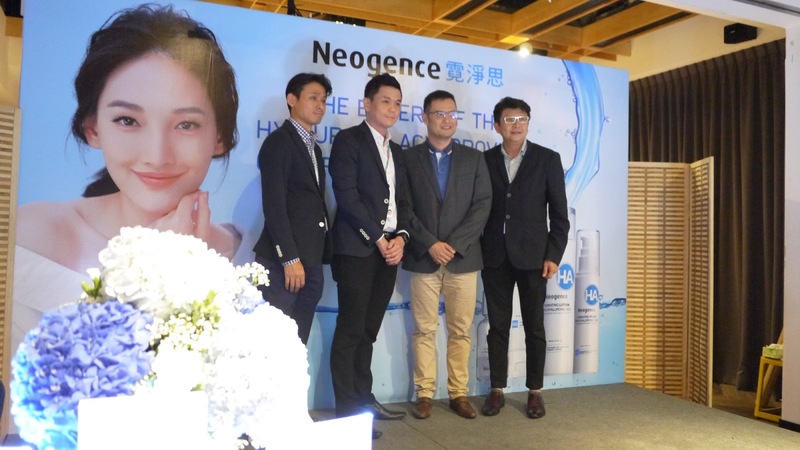 Dr. Hsieh shared with us that he has developed NEOGENCE's first product 'Hyaluronic Acid Hydrating Essence' for his family. The "Essence" has become the hero product in campus and it turned out to be an instant hot hit and well-known household name. 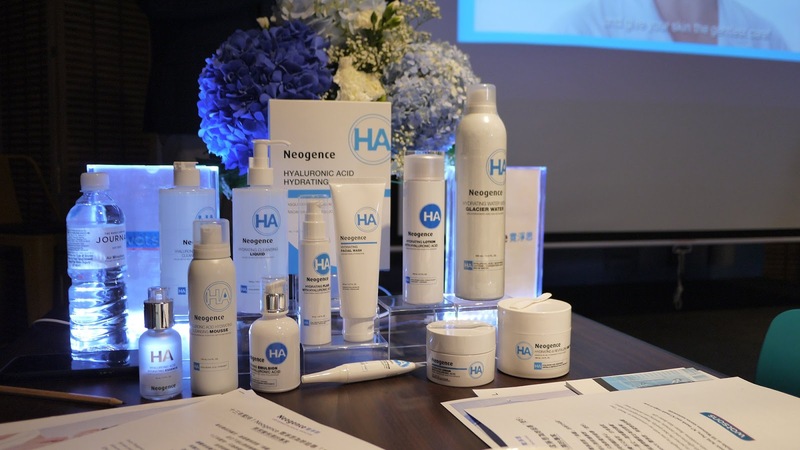 Then, Neogence was founded in 2005 by a team of Taiwanese experts in dermatology, pharmacology and biomedical technology combined forces with the aim to create a highly efficient range of products designed to quickly, safely and effectively address skin problems. 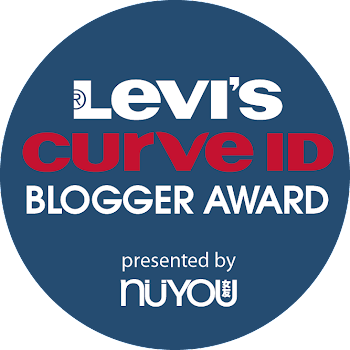 It is no surprised that NEOGENCE products has won multiple awards over the years. We all know that hydration is important to our skin. When our skin is lack of hydration, wrinkles and pigmentation will appeared and it made us look dull and old. 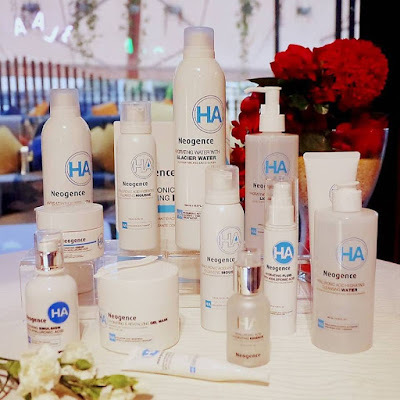 NEOGENCE Hyaluronic Acid skincare range contains a high concentration of premium grade hyaluronic acid so it’s like a much-needed drink for your skin. The best part is, the range is suitable for all skin type. 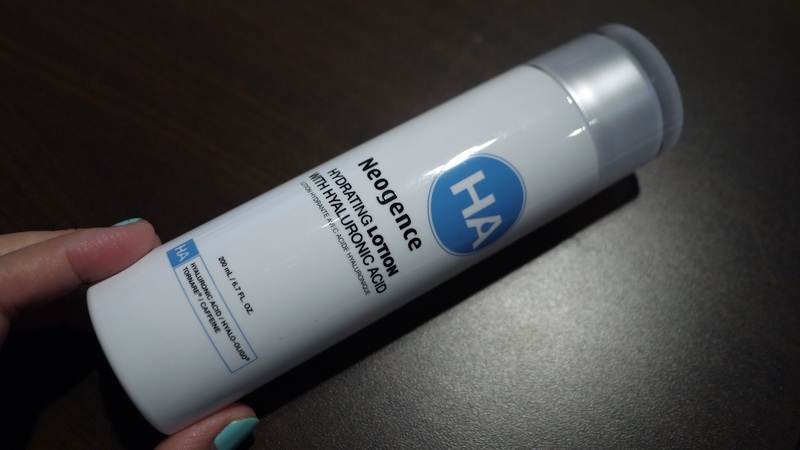 Give your skin an instant hydrating with Neogence Hyaluronic Acid Lotion. Infused with Bimolecular hyaluronic acid and Tomare, it replenish hydration to your skin almost immediately. To use, pour out the amount needed and warm it on your palm, then gently tap onto skin and massage upwards for lifting purposes. The watery texture is easy to absorb into skin. Skin feel fresh and plump after that. 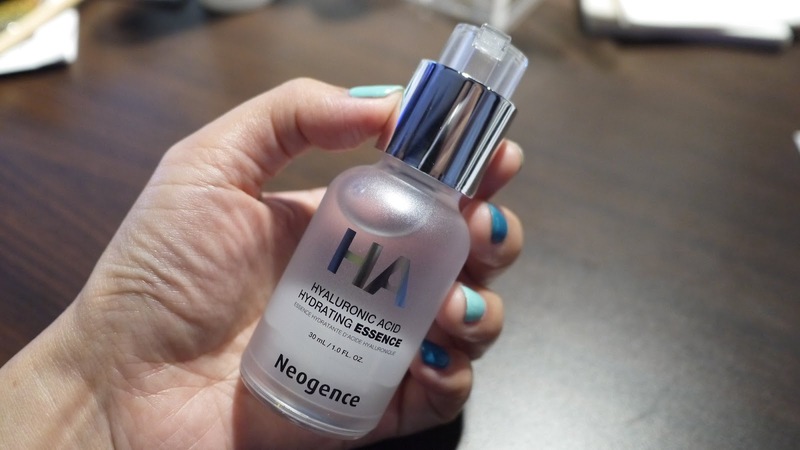 Use the Hyaluronic Acid Hydrating Essence to forms a moisture-retaining layer on the skin for instant hydration. The texture is similar to thick-gel and contains highly concentrated Hyaluronic Acid complex and Hyalo-Oligo to enhance hydration and absorption. I fell in love with Hyaluronic Acid Hydrating Essence after trying it out. It is so effective that my skin is plump, soft and supple after just one drop of Hyaluronic Acid Hydrating Essence. 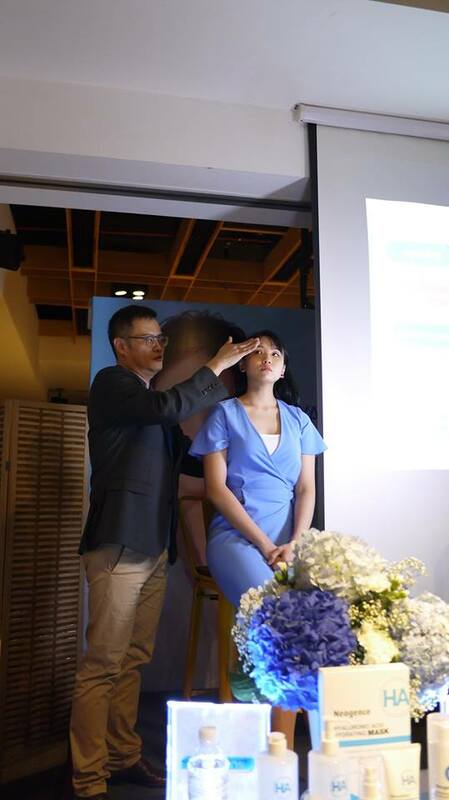 Good news for us, Watsons Member gets to enjoy the great promotion of only RM 165.80 for 30ml of Hyaluronic Acid Hydrating Essence only in the month of October 2018. 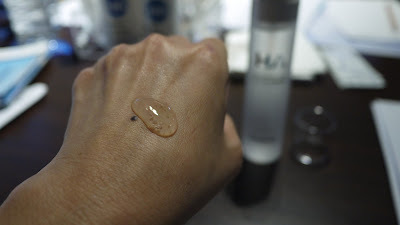 Hyaluronic Acid Hydrating Fluid is a light-weight moisturizer that is suitable for our tropical climate. It create a barrier that prevents water loss on skin. Contains ceralipid, squalane, and virgin olive oil extract, it's watery liquid texture helps to repair skin and seal water deep into the skin so that it will not be evaporated into the air. If you follow the 3 major steps above, you can achieve a better skin eventually. Aside from these daily skincare regime, it is also important to treat our skin once or twice weekly with face mask. 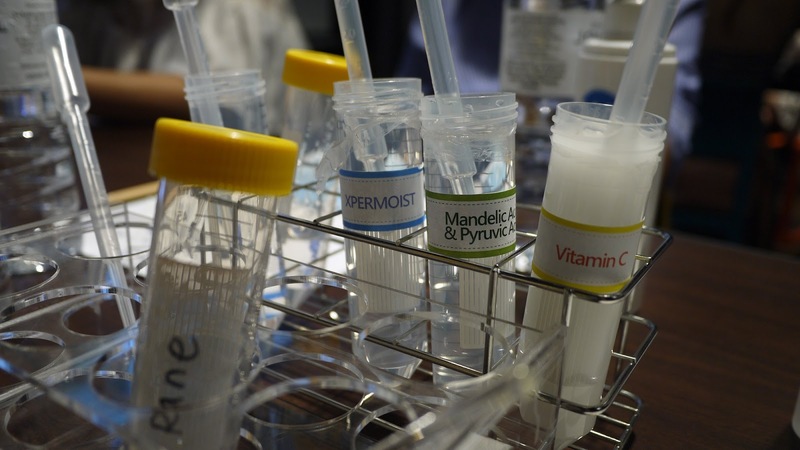 Thanks to Dr. Hsieh for teaching us to create our very own DIY hydrating mask. No wonder we have seen so many laboratory equipment on our table. It took a few steps for the concoction to be done. Then, we pour the concoction into a clean, dry mask sheet, and seal it tightly. As the mask does not contain any preservatives, it must be refrigerated and used within 7 days. I have used it the next day, I love the super moisturizing effect of the mask. Thank you so much for the fun-filled experience, Neogence. Neogence’s “Skin Institution” focuses on 3 parts: (1) Test Centre, (2) Lab and (3) Lecture. Every product undergoes “patch test” on the skin of 30 people (for 24 hours) to ensure the safety of products. All of Neogence products are Free from heavy metal, paraben, alcohol, fragrance, dye and most importantly animal testing! Considering it’s a cosmeceutical brand, its price point is a pleasant surprise. 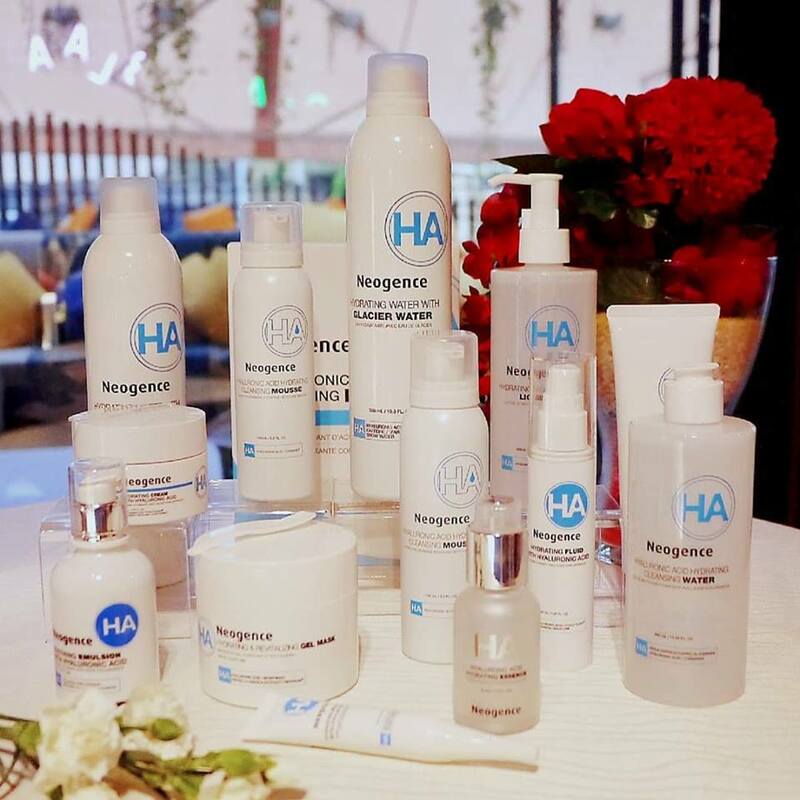 Do check out Neogence Hyaluronic Acid series, Pore, N7 mask and N3 mask range which are available at 58 Watsons stores nationwide.